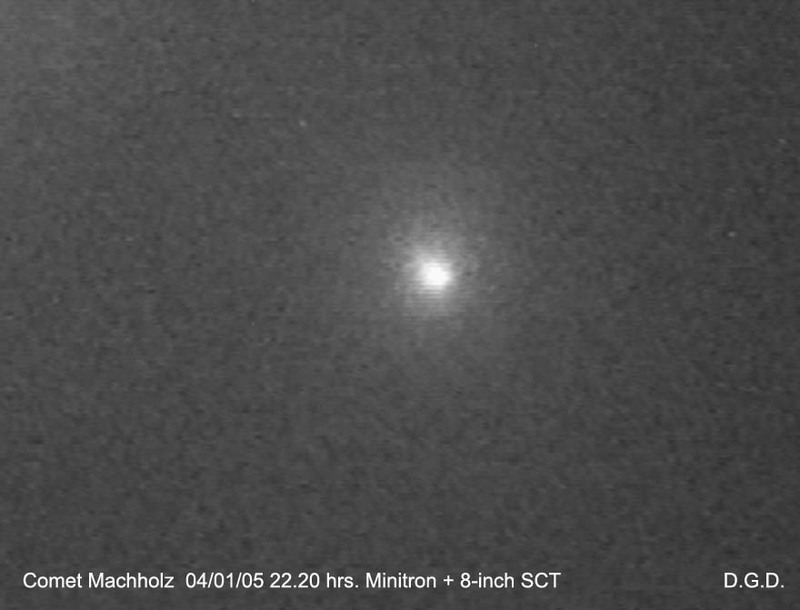 Comet Machholz is currently visible in the sky. It was discovered by Don Machholz in August. The comet is seen as a diffuse patch with a star like nucleus and, in December, no discernable tail. It was at about Mag.5. The comet will move upwards in the southern sky and will be close to the Pleiades star cluster by January 8th, and visible to the west of them by January 10th. By then it might become a naked eye object. 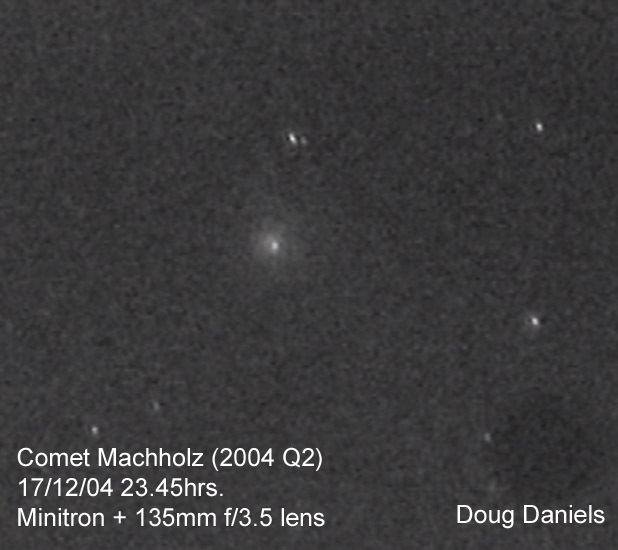 During early January 2005, Comet Machholz climbed steadily through the southern sky up into the constellation of Taurus and on the evening of Jan 8th it was to be seen in the same low power field as the Pleiades star cluster. Observing from the darker skies of Weston Colville in Cambs., Terry Pearce managed to obtain these beautiful images of the comet when it was close to the Pleiades. Terry used a Canon SLR 35mm film camera mounted piggback on a small equatorial telescope for the 5 minute guided exposures. The images were captured on 400 ASA Fujichrome colour print film. The negatives were scanned and then processed in a computer using Adobe Photoshop.